Since joining EHS Partners, Jeff has worked across a broad range of industries including utilities, transportation, healthcare and retail. Along with client management and engagement, Jeff leads work on EHS client orientation and training tools. Jeff has over 30 years of experience in information technology, marketing, human resources and sales in the consumer-packaged goods industry, having spent most of his career at Procter & Gamble using data and technology to drive sales and reduce costs. At P&G, he held several cross-functional roles, primarily within the Sales & Operations and Global Business Services organizations. 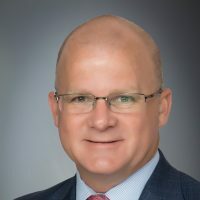 Jeff’s business development experiences with P&G include trade customers such as Kroger, Walmart, Albertsons, and Costco; Jeff led North America Trade Advertising and created the Best Practice Program for Shopper Marketing. He has also led Information Technology Innovation, including engagements with Silicon Valley Venture Capitalists and successfully directed several global IT teams responsible for business intelligence, retail sales, procurement, trade promotion management and e-commerce. Jeff earned his MBA at Northwestern University’s Kellogg Graduate School of Management with an emphasis on Finance and Marketing. He graduated with highest distinction from Purdue University with a B.S. in Electrical Engineering.